DECEMBER 7, 2018: Electric vehicle buyers purchased 38 electric vehicles through the 2018 Electric Vehicle Sales Event, with an upward trend for all-electric vehicles and growth in public EV charging stations. In November, Gov. John Hickenlooper awarded a $10.3 million grant to ChargePoint to build 33 fast-charge stations across Colorado. “Fast-charging stations give EV drivers the confidence to reliably travel to all corners of the state,” said Hickenlooper. During the Sales Event, Holy Cross Energy offered a $650 rebate to customers for installation of a Level II electric vehicle home charger. The utility awarded 23 “Charge At Home, Charge At Work” rebates. She noted that in January, the utility plans to offer on-bill financing to help residential and commercial customers install Level II chargers. These 240-volt charge systems provide a faster charge, and give customers the option of setting a timer for charging to take advantage of off-peak rates. The $7,500 federal tax credit also remains in place. However, Chevrolet’s success with its Volt plug-in hybrid and Bolt all-electric mean the automaker is approaching the 200,000-vehicle cap set in the federal tax credit legislation. Federal tax credits available for the Volt and Bolt are expected to fall to $3,750 in 2019, and expire by the end of 2019. 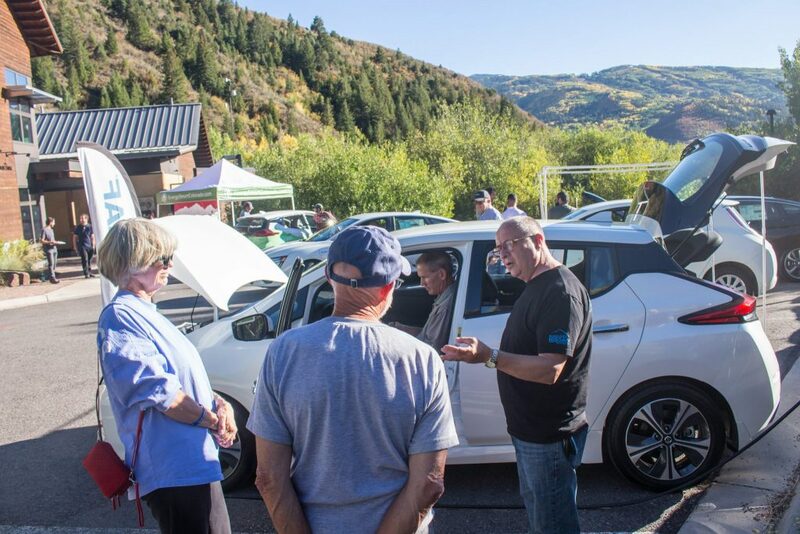 The Electric Vehicle Sales Event was led by Garfield Clean Energy, CLEER and Refuel Colorado, and sponsored by Holy Cross Energy, City of Glenwood Springs, City of Aspen, Town of Vail, Eagle County, CORE, Walking Mountains Science Center, Alpine Bank and Colorado Mountain News Media.